MEEKINS INSURANCE SERVICES | Dental Blue for Individuals, Blue Advantage, Health Care Reform, Obamacare Affordable Quotes, BCBSNC, blue cross blue shield nc, blue cross blue shield north Carolina, dental insurance, family, group health insurance, group insurance, group plans for businesses, health plans, individual health plans, medicare supplement, advisors, authorized agents, expert, professionals, firm, company, North Carolina, Apex, Asheboro, Asheville, Beaufort, Burlington, Cary, Chapel Hill, Charlotte, Concord, Durham, Elizabeth City, Fayetteville, Fort Bragg, Garner, Gastonia, Goldsboro, Greensboro, Greenville, Havelock, Hickory, High Point, Huntersville, Jacksonville, Kannapolis, Kernersville, Kinston, Lexington, Lumberton, Manteo, Matthews, Monroe, Morehead City, New Bern, Newport, Outer Banks, Raleigh, Rocky Mount, Salisbury, Sanford, Shelby, Statesville, Thomasville, Wilmington, Wilson, and Winston Salem. Show your Blue Cross NC member ID card at the dentist’s office when you arrive. There’s no waiting period for preventive services (A waiting period is the time from your effective date to the day you can receive benefits for a covered dental service.) Checkups and cleanings are covered twice per benefit period. Get a Free Dental Quote From Meekins Insurance Services With No Obligations! 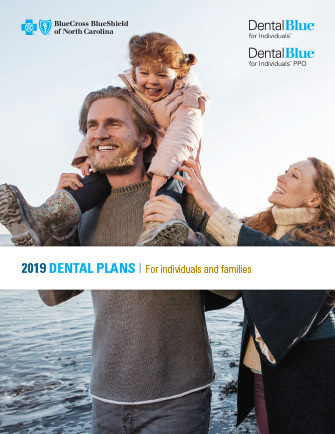 * Dental Blue for Individuals is not part of the covered health insurance benefits of any Blue Cross NC plans. Dental Blue for Individuals must be purchased separately. 1 “The Health Perils of Gum Disease.” http://www.webmd.com/heart-disease/features/health-perils-of-gum-disease (Accessed June 2011).